This book will make your therapy more powerful. By combining your individual, couple, or family therapy with the self-help exercises in this book, you will gain a deeper understanding and have more practical ways to apply what you are learning in therapy. If you are not yet in therapy, this book will help you with how to find and select a therapist, what to expect in the first few sessions, and how to work with your therapist as a team to work on just those goals which are most important to you. You don’t need to choose between self-help and psychotherapy–this book will help you to combine them for a powerful, life changing experience. 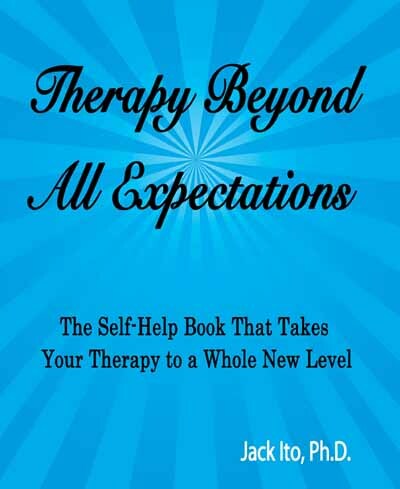 If you have been in therapy for a while, this book will stimulate new areas to explore and give you more ways to apply what you have learned in therapy to your everyday life. The practical exercises in this book are designed to complement any style of psychotherapy. 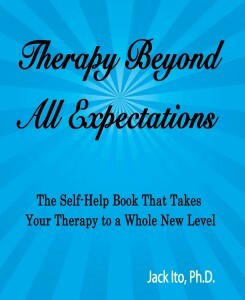 If you have hit a roadblock in your therapy, this book will help you to break through it. Get the self-help book for people in psychotherapy and greatly increase the power of both. You will feel the difference–and others will see the difference–in your life. If you want to get more from your counseling, this book is for you.